Apropos of nothing much (other than a framed copy of the first version now being in stock in the Little Shop), here's a tale of the perils of dealing with Danjaq/Eon, the owners of the James Bond cinematic franchise. Back in the 1970s, the ubiquitous Geoff Love (& his Orchestra) recorded an album of Bond theme cover versions. 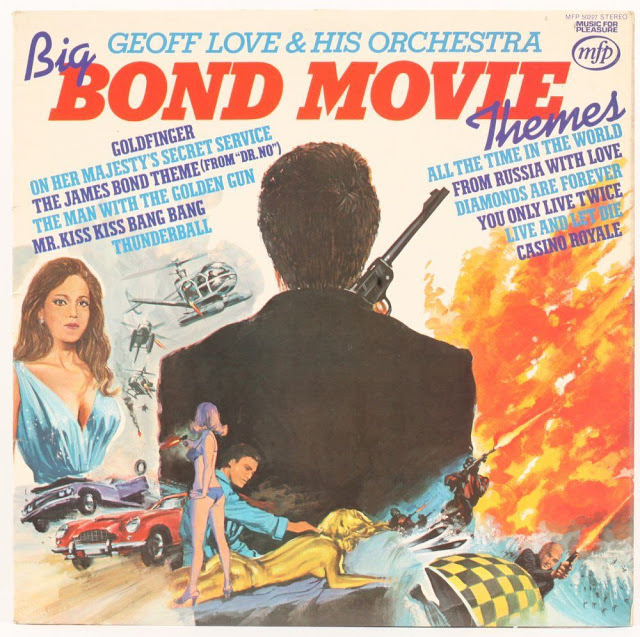 The LP cover was a rather bonkers piece of 'greatest hits' art, with several scenes, and actors, recognisable from various Bond films. 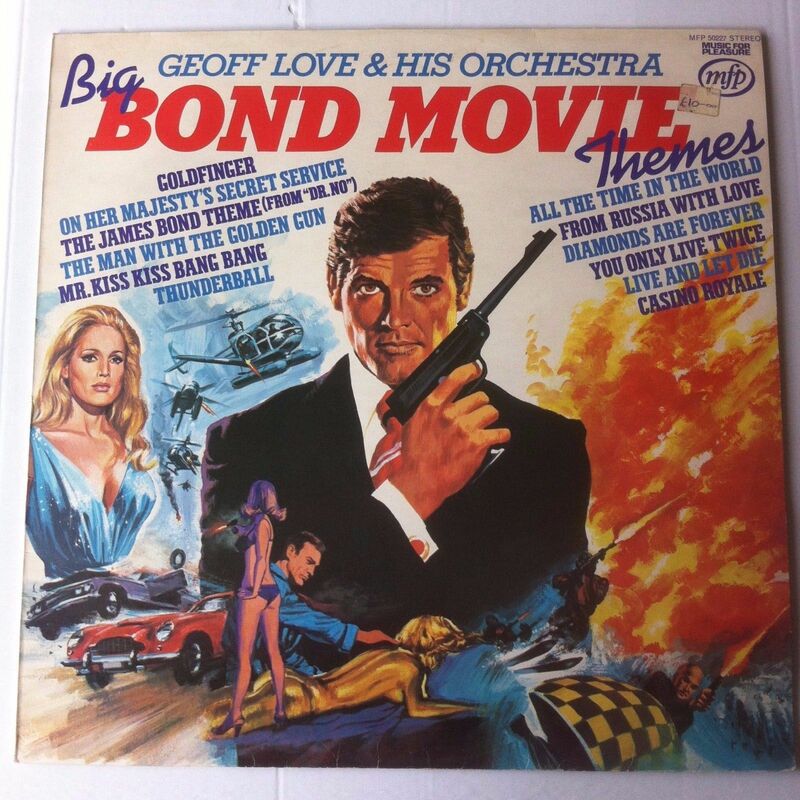 The then-current Bond Roger Moore is front and centre of course, plus there's Ursula Andress (painted from a still from Hammer's She rather than from Dr. No, if I'm not mistaken), Sean Connery and even Telly Savalas. There's also the Aston Martin DB5, which is red, for some reason.